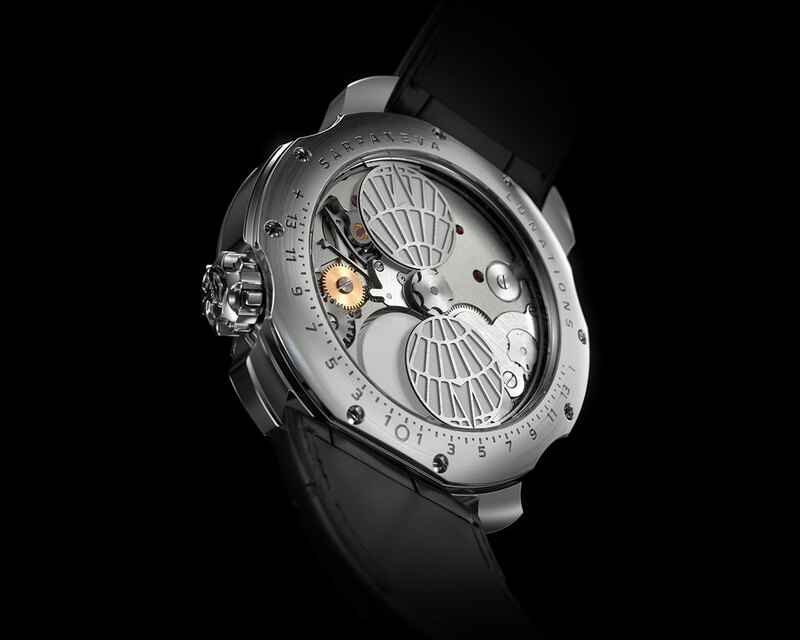 Not only is Sarpaneva Lunations uniquely precise in its display, it is also uniquely precise in the way it is set. Pulling the crown at 4 o’clock out to the first position allows the wearer to set the phases of the moon display. An integrated phases of the moon scale, engraved on the back of the watch provides additional guidance on getting the display as close to the actual lunar cycle as possible. Sarpaneva Lunations can also be easily customised to reflect the lunar cycle in both northern and southern hemispheres.